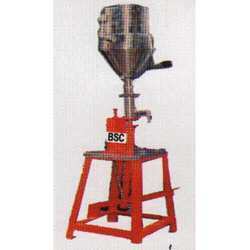 Prominent & Leading Manufacturer from Delhi, we offer paste filling machine and aluminum foil sealer. We are one of the foremost manufacturers and suppliers of a comprehensive range ofPaste Filling Machine. 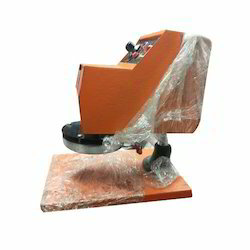 Highly effective and efficient in their functionality, these machines are manufactured using best quality equipments and parts so that there is no compromise in the quality. Designed in accordance with the diverse client’s demand and industrial advancement, the range comprises machines such as Semi Automatic Paste Filling Machine, Liquid & Cream Filling Machine and many more. With firm commitment to quality, we put forth for our clients an extensive assortment of Aluminum Foil Sealer machines. Precisely manufactured employing latest technologies, these machines are widely used for leak proof sealing of aluminum foils on cups, plastic containers bottles, cans and trays. Post manufacturing, these machines are stringently checked on various parameters to ensure its compliance with industry standards and defect free nature. Looking for Aluminum Foil Sealer ?